Sign up and receive Property Email Alerts of Houses for sale in Strand, Strand. This is a must Strand property with very low maintenance. Our Strand property is situated in a very popular area in the Strand. 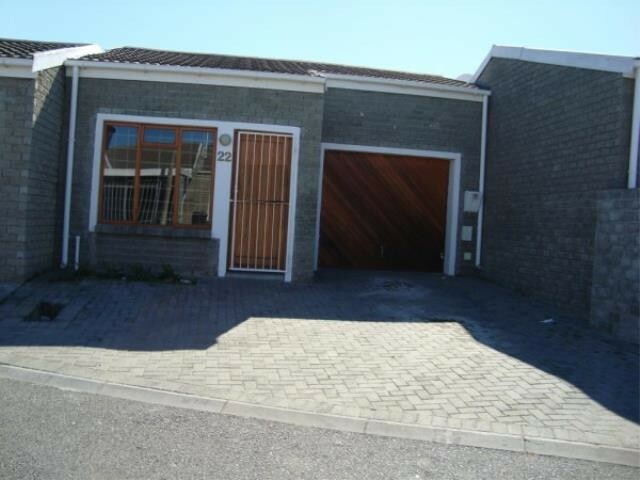 The Strand semi-detached own title home is situated in a semi-detached own title security complex. Therefore it has an attraction as the security risk is less of a problem. This Strand semi-gated village is close to all amenities and in most instances a car is not essential. Around this area you will find a shopping complex, garage, fast food places and many other convenience stores.This complex is reasonable close to the sea and beach area. The Strand unit is in an excellent condition. It consists of a big open plan kitchen, lounge / dining room area and includes two bedrooms, one bathroom and a lockup garage. From the lounge there are wooden doors that open in a courtyard. This area around the garage and the front entrance to the house is fully brick paving. The electricity is pre-paid. Please note that this unit does not have a bath but a comfortable huge shower, toilet and basin. Additional security gate at front door and window ensure extra security. Generally and ideal buy for the investor, beginners or retired couple. Excellent lock-up and go! Sign-up and receive Property Email Alerts of Houses for sale in Strand, Strand.